Nazi Zombie Portable » NZP Forum » Support & Suggestions » Lighting color and entity? so, me and a friend are working on a map. its pretty big. i'm making an exit sign, but i want to give it that green light they usually have, i need to know the entity and how to change the color. i will also need it for other signs or anything i plan on making in the future. This is Beta 1.1 right? I've never mapped for the Beta but I know that 1.0 has colored lights, where you just select the color. You can't do colored lights in Worldcraft which is why i switched to Jackhammer which can. 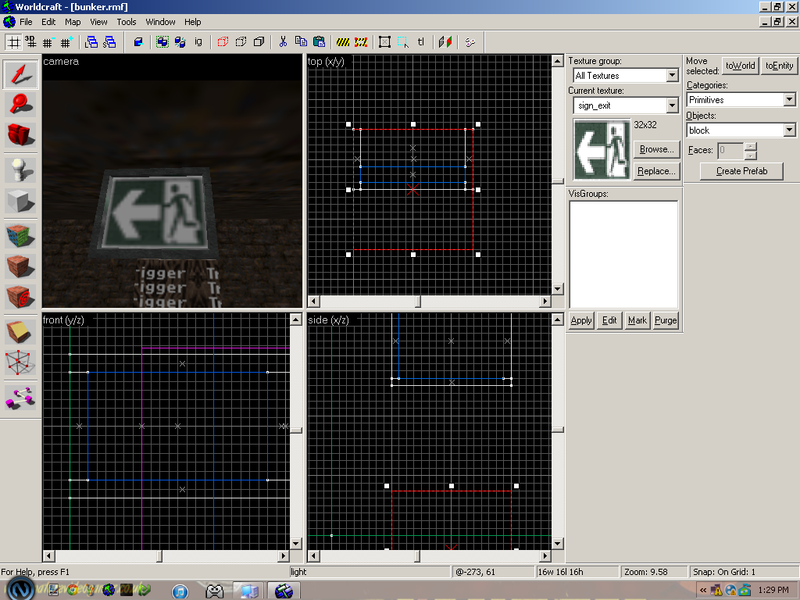 It seems like he uses the old Quake map compilers which doesnt support colored lights. Trust me, Jackhammer is 99% the same as Worldcraft but better. You should use it. @PerikiyoXD wrote: Trust me, Jackhammer is 99% the same as Worldcraft but better. You should use it. installing and the setup are the same? if not a tutorial on how to do that would be great. there are many things that i try looking for tutorials for, and they end up not having one. if there is, tell me. In that tutorial Frizzy links the new compilers, if you want you can try and see if they work with Worldcraft. if not, then its really easy to follow frizzy tutorial. Also if your worried about converting to Jackhammer, don't be it's really easy. Location : Down the road, 2nd house to the 4th house beside the 5th one on the left. In terms of mapping, of course. That tutorial is very relevant to NZP Beta also, setting up and compiling is the same, only thing you will need to make sure is your FGD is the Beta one. You may need to run your textures through Wally ---> link <----, Texmex doesn't work with Jackhammer or atleast i never got it to work with Jackhammer. it also could be your compiler settings. Here's my compiler settings. If you didn't run Jackhammer as an administrator then it should be located in "My Documents/jackhammer"
Just in case check both locations and if both locations have "VDKRUNCfg.ini"
do this next step for both. 15 Re: Lighting color and entity?